Fact: some people have allergies. Big deal. They shouldn’t have to suffer (it’s not like it’s their fault). 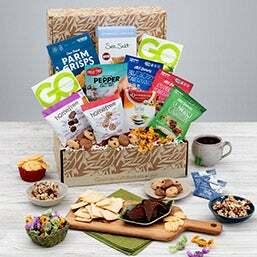 That’s why we created our line of gluten free gift baskets full of delicious treats that are healthy – even though you wouldn’t think it by their taste. Celiac disease isn’t picky about who it affects, so we made our gluten free food gifts appealing to everyone. Whether they’re a gift for a child on their birthday or for her as a housewarming gift, our baskets are perfect. 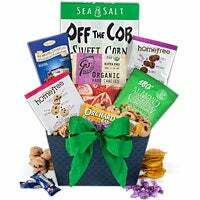 With tasty gluten free baked goods and crunchy snacks, these baskets are full of foods that are so delicious, your recipient will completely forget they’re gluten free. Around the holidays, it’s customary to send food gifts. But (obviously) not everyone has the ability to dig into a cheese and cracker platter. For these holidays, our gluten free gifts are perfect. On Thanksgiving, they can still receive delicious foods and holiday cheer is just a click away around Christmas time. 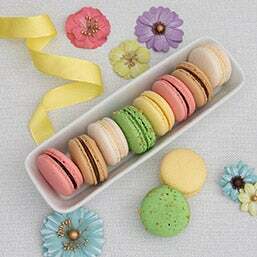 Being allergic no longer presents boundaries when it comes to gourmet gifts. Need a hand picking out the right gift? We can certainly help. Our experts know everything about our gifts, so if you’ve got questions about ingredients and allergens, we’ve got your answers. Just give us a call at 866-842-1050. Gluten-free Living: Celiac Disease Explained - Living with Celiac Disease is hard, but it doesn’t have to be. Learn what it means to maintain a gluten-free diet and find yummy foods, and great recipes!